The Pirate Party has followers in more than 60 other countries and has a central policy of supporting Internet and data freedom. The growing use of mass surveillance by companies around the world — revealed by ex-CIA contractor Edward Snowden, now living in temporary asylum in Moscow — has led to a widespread mistrust of the political establishment. The party campaigns for the protection of human rights and fundamental freedoms in the digital age, support for information privacy, transparency and free access to information. In Iceland, an MMR poll this week showed that support for the Pirate Party had increased from 12.8 percent to 23.9 percent since February. During the past few weeks, its membership has also increased, with recent polling suggesting it would claim 16 seats in Parliament if an election was carried out now. Party leader Birgitta Jonsdottir told Ice News she was unsure why they had gained so much support, but believed it could be down to people's mistrust of "conventional politics". She went on to say that traditional politics were not progressing and that many were tired of simply waiting for change, adding that it was good people were rejecting corruption and hubris. 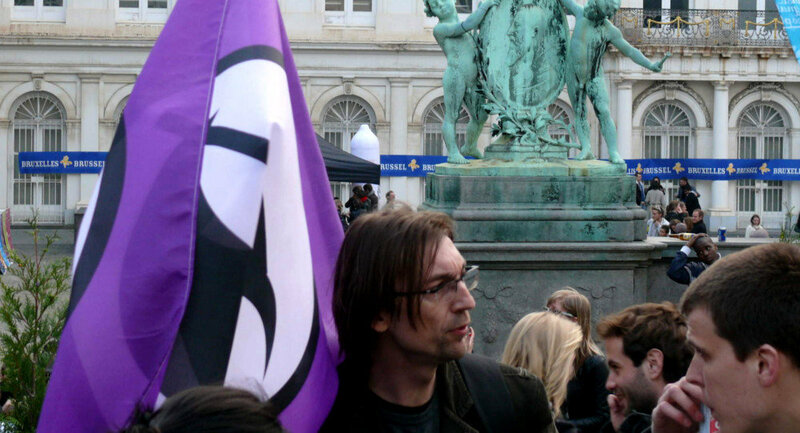 In Germany, where the Pirate Party enjoys a serious following, the country has been rocked by allegations that its government was actively assisting the NSA, despite denials in parliament. German public opinion has been anti-mass-surveillance ever since it was revealed by ex-CIA contractor Edward Snowden that the American intelligence agency NSA and Britain's spy agency GCHQ were running programs of mass-surveillance over the Internet. However, questions are now being asked about how much Merkel knew about the allegations. She is facing calls to release documents outlining the extent of its dealings with the NSA. In the light of the scandal, the German Pirate Party is now on the rise again, having recovered from its internal disputes that cause it to lose support, after gaining 13 percent in nationwide polls in 2012/3. Meanwhile, the Pirates are putting candidates up for the UK general election on May 7, in Manchester Central, Salford and Eccles, Vauxhall, Sheffield Central, Bridgend (Wales) and Manchester Gorton. The party said, even if they do not get a seat in Britain's parliament, the Pirates will have got the Pirate message out to a large number of citizens in one of the leading Five Eyes spying consortium nations. Five Eyes refers to the electronic eavesdropping alliance, comprised of the US, UK, Canada, Australia and New Zealand. Edward Snowden revealed that Britain's intelligence agency, GCHQ, has been tapping fibre optic cables in a data-harvesting scheme called Project Tempora, under which large volumes of data are collected for up to 30 days, so that it can be sifted and analyzed. He claims that the metadata collected by GCHQ — the information about what is being sent, to whom, from whom and when — is being shared among the Five Eyes nations.